The way both Rossi and Vinales regained their competitiveness towards the end of a campaign that has been largely miserable for both of them begs the question: is Yamaha back on the path to becoming a force to be reckoned with in MotoGP once again? Just a few races ago, what was more worrying than the 25-race winless streak was Yamaha's apparent inability to do anything about it. Since the start of the year, the electronics package had been the most commonly-cited cause of Yamaha's malaise. The narrative went that Honda and Ducati had found an advantage by employing electronics specialists who were able to extract more performance from MotoGP's common ECU. Rossi called for Yamaha to invest further in this area, but despite a few early podiums things failed to improve. The one-year anniversary of his Assen 2017 win passed, and several races later Yamaha crossed the threshold of its previous worst-ever losing streak, 22 races. Around the time of the summer break, there were murmurings that the YZR-M1's engine was too harsh with its power delivery. Given that MotoGP does not allow non-concession teams the chance to change engines mid-season, this suggested that the rest of the season would be a write-off. September's Aragon race (above) was the nadir. Rossi and Vinales finished eighth and 10th respectively - both beaten by, among others, the Aprilia of Aleix Espargaro and the satellite Ducati of Danilo Petrucci. 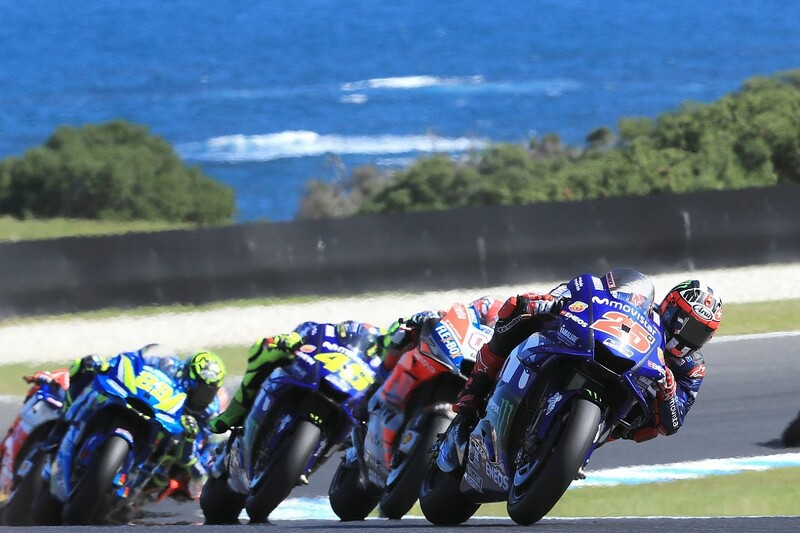 The following round in Thailand was the start of an upturn, as Vinales and Rossi finished an encouraging third and fourth, not far behind the victorious Marquez. But at first it seemed to be a false dawn. It's fair to say the layout of the Buriram circuit, where a lot of time is spent on the side of the tyre, flattered the YZR-M1, and the relative paucity of hard acceleration zones masked its biggest deficiency - a lack of traction exiting slow corners. The fact scorching temperatures forced most of the field to choose the hard-compound rear tyre also helped matters. ​It certainly seemed Thailand was a one-off two weeks later in Japan, where it was back to square one for Rossi and Vinales - and Rossi declared that Yamaha had slipped below Suzuki in MotoGP's manufacturer pecking order after coming fourth behind Alex Rins. And yet the following week in Australia, Vinales, who finished a distant seventh in Japan, won - and in fairly convincing style. How on earth did that happen? 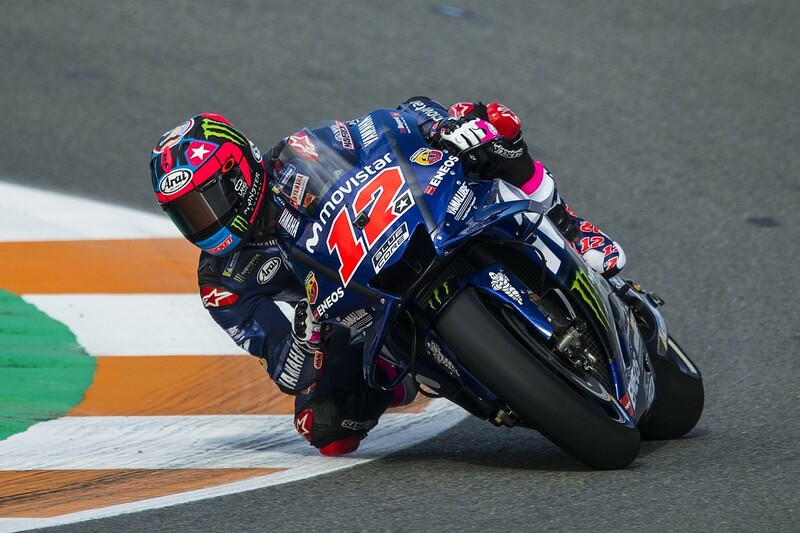 First, it should be noted that Vinales has always been something of a specialist at Phillip Island, having excelled there in Moto2 and in his Suzuki years. Second, several key contenders for the win were out of the equation: Cal Crutchlow (who didn't make the start after his season-ending practice crash), Johann Zarco and Marquez. Consider also that the rider many had tipped for victory after qualifying, Suzuki's Andrea Iannone, made a bit of a hash of things by dropping out of the lead battle after running wide, an error without which he could have conceivably fought Vinales for the win. 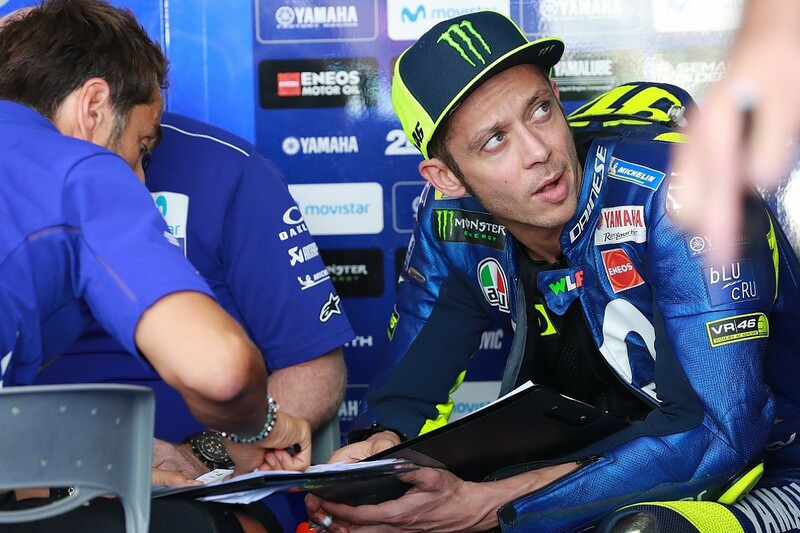 Rossi - who managed to climb as high as second behind Vinales at one point - suffered the exact same issues he had encountered in the majority of races this year. That led to his blunt assessment that Vinales' unexpected win "didn't change much", as well as suggesting Phillip Island was an outlier. But, as events in Malaysia the following weekend confirmed, it was actually the beginning of a small upward trend. And there were tangible reasons for Yamaha's mini-revival. The key to success in modern-day MotoGP, with spec electronics and tyres and (for most teams) frozen engines, lies in cracking the details, and there were three of these in particular that explain how Yamaha went from embarrassment to genuine threat once again in the space of just two months. One of these was some set-up changes that Vinales requested in Thailand, relating to the weight balance of the M1, helping him on corner entry. These were reversed for Japan - where he struggled - before Vinales demanded the Buriram set-up be brought back in Malaysia. Elements of this were subsequently copied by Rossi, who was able to mix them with the strongest points of his own set-up to great effect in Malaysia. After all, the 39-year old has always been a Sunday rider, and for 15 laps at Sepang it was Rossi who was in command. While Marquez was closing in at a rate of around one tenth per lap, moments before Rossi's crash it was still anybody's guess as to which of the two old adversaries would prevail. Likewise, Vinales' pace in the second half of the race in Malaysia was strong, even if it wasn't enough to make up for all the time he had lost by qualifying 11th in the wet and then getting stuck behind slower riders such as Nieto Ducati's Alvaro Bautista early on. "If I started at the front, with a clean track, maybe I was able to do the same as I did in Australia," was his wistful assessment after finishing fourth in Malaysia. Rossi, clearly deflated after his own error cost him his best shot at victory all year, struck a somewhat more cautious note about Yamaha's situation, although he did admit that the tyre life situation in Malaysia was significantly better than it had been in previous rounds. "Looks like that in the last laps we struggle a bit more compared with Honda and also compared with Ducati," he said. "But it's one story if you speak about the last four or five laps, or if you start to have the problem in half of the race." The second detail that led to Yamaha's upturn is that the team had begun testing the limits of tyre pressures around the time of the Buriram race, although it did not break any rules in the process. And the third is the introduction of a new, narrower seat for the Motegi race, which helped Vinales in particular with the handling of the bike, making him feel more comfortable. The three changes combined are thought to have been worth around three tenths of a second a lap. That may not sound like a lot, but when the top 10 in MotoGP are regularly split by less than a second, it's a significant amount of lap time to claw back, and easily enough to transform a fringe top-10 rider into a podium contender. 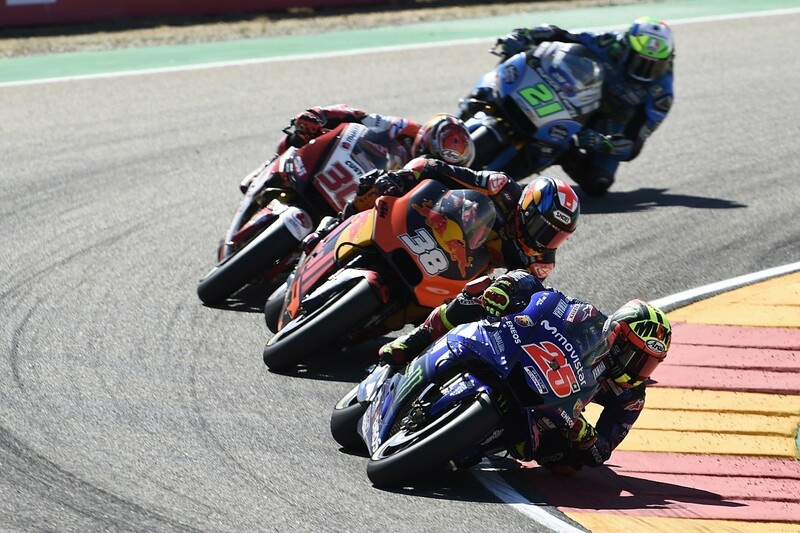 While the Valencia weekend was a washout, again both Rossi and Vinales were competitive, and either could have feasibly won the race without their crashes - adding to the growing sense of a revival that could translate into a much stronger 2019 season. This week's post-season Valencia test is crucial on that front. Vinales said after Malaysia that he looked forward to focusing purely on sampling different engine types, and his Australia win will give him confidence to push Yamaha in his direction should his opinion differ from that of Rossi.